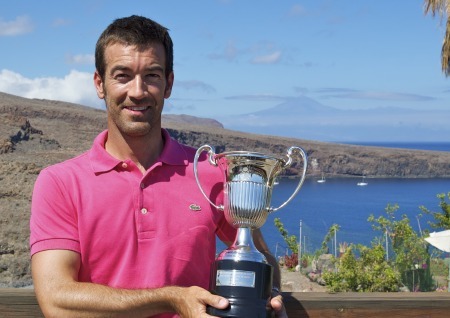 Vancsik, 35, consolidated his place at the top of the leaderboard with a three under 68 to enter the final day a shot clear of Switzerland’s Martin Rominger on 16 under par having made just one bogey in the opening three days at Tecina Golf on La Gomera in the Canary Islands. He might have had a triple bogey eight at the first but Niall Kearney is still just six shots off the lead in the Turkish Airlines Challenge at the National Golf Club in Antalya. Martin Rominger. Picture copyright Sir Old Golfer PhotographyGlasson’s Colm Moriarty shot a two under 69 to trail leader Martin Rominger by six shots after the first round of the Fred Olsen Challenge de España at Tecina Golf on the island of La Gomera.